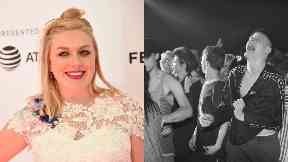 Rachel Jackson stars in Beats, which will close this year's Glasgow Film Festival. Action: Rachel Jackson will appear in Beats. A Scots actress can't wait for audiences to take a trip back in time with her latest movie. Comedian Rachel Jackson stars in Beats, which will close this year's Glasgow Film Festival on March 3. The film, directed by Brian Welsh and executive produced by Steven Soderbergh, is the big screen adaptation of Scottish playwright Kieran Hurley's hit stage show. 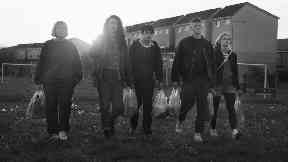 Set in 1994, just as the Criminal Justice and Public Order Act attempted to place restrictions on Scotland's rave culture and free party movement, Beats tells the story of friendship, rebellion and the irresistible power of gathered youth. Jackson told STV News: "As soon as I heard about Beats I knew I had to be in it. "I'm obsessed with the 90's anyway and I knew they were looking for people with a crazy energy. "I actually told Brian Welsh in the audition that I had to be in this movie. "I pure stared him dead in the eye - it's made me think it must work. "There were a few auditions for it; tapes, recalls and chemistry tests. "When I finally got that call I was happier than I'd ever been in my life knowing I was going to be a part of this incredibly special film. "I can't wait to close the Glasgow Film Festival with it. I think audiences are going to love it - here's hoping." Jackson, who is originally from Edinburgh but currently lives in Ayrshire, first got a taste for performing after getting involved with the Lyceum Youth Theatre. She then progressed to the National Youth Theatre before attending the Rose Bruford College of Theatre & Performance in London, where she was nominated for the Spotlight Prize. Jackson, who has appeared in Still Game and wrote a mini-series for BBC Three, said: "The whole industry is like a drug to me. I think most actors secretly feel like that. "Getting a part and being on set and acting your socks off is a total buzz. "The whole experience - from auditioning, to doing it, to seeing the finished result - is addictive. I'm obsessed." As well as Beats, Jackson has also starred within The Party's Just Beginning - a film written and directed by Karen Gillan (Doctor Who, Guardians of the Galaxy). Jackson said: "Karen actually wrote the part of Donna for me in the film. So I never had any competition for the role, which is a pretty rare thing. "I loved working with her. She's a true force of nature and multi-talented. It's another really special movie." In addition to Beats, you can catch Jackson in action in Glasgow at the Tron Theatre on February 27 and at Blackfriars on March 24.